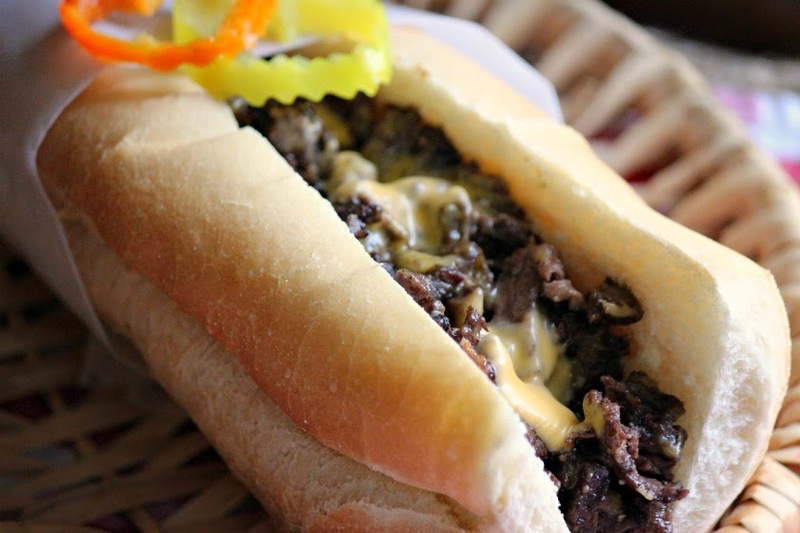 It goes without saying, that when in Philadelphia, you must stop and get a cheesesteak sandwich. I'm sure you have all heard about the feud between Geno's and Pat's - we went to Pat's King of Steaks. Geno's is directly across the street. which means with or without onions. That's a Philly accent for you. My Jersey accent almost compares, "you wanna cuppa cawfee"? The sandwich was delicious and I was determined to try to make one at home. 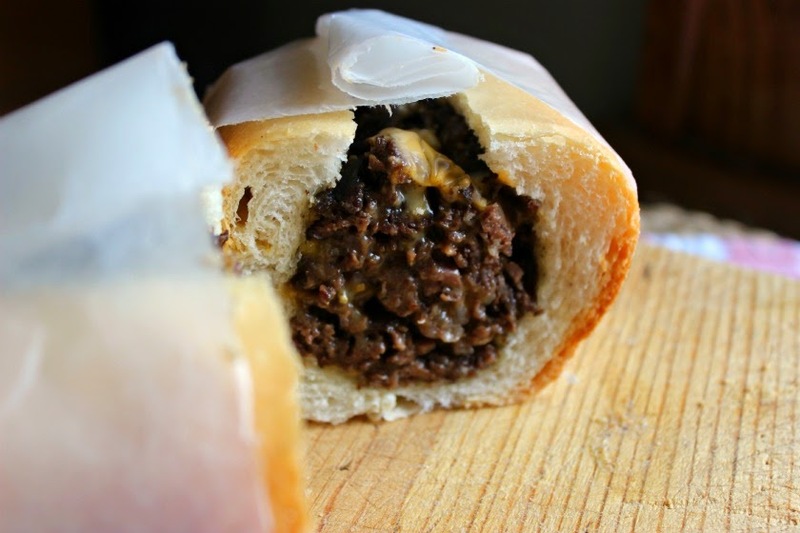 The trick to a really good cheesesteak sandwich is to slice the beef paper thin. 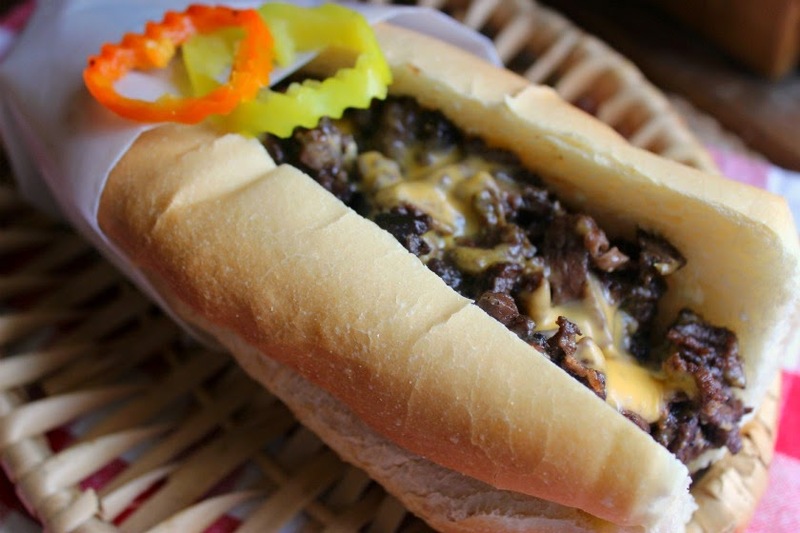 A true Philly Cheesesteak sandwich is made with Rib Eye steak sliced on a deli slicer and chopped as it cooks on a flatop griddle. Since most of us don't have a deli slicer or a flat top, how can we get the same great taste and tender meat that you get in Philly? 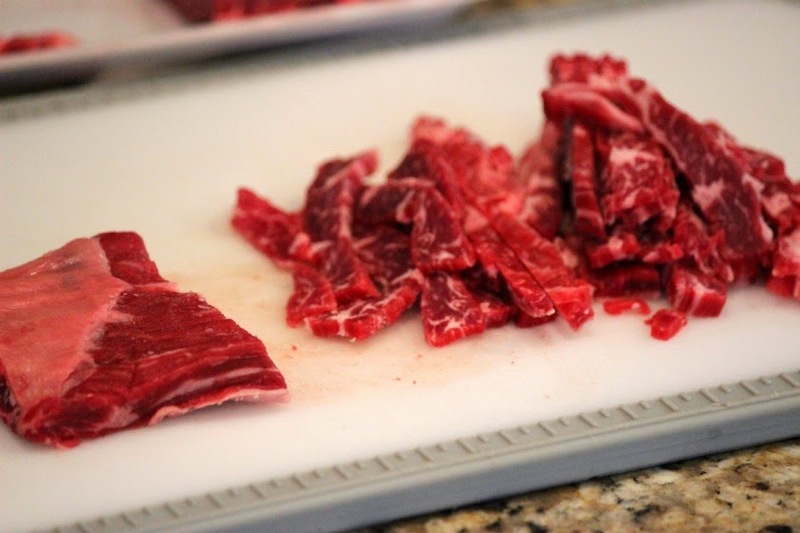 Slice skirt steak into 3" pieces going along the grain of the meat. Place on tray and freeze for 30 minutes. 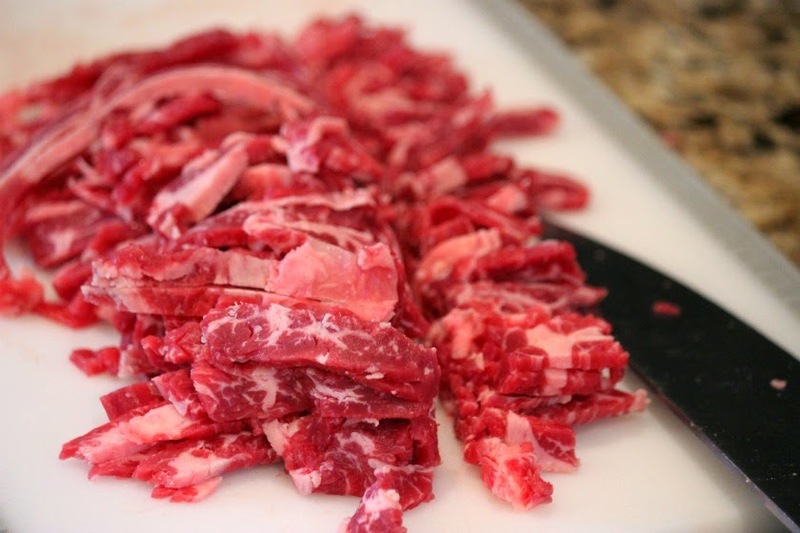 When meat is frozen, using a sharp knife, slice the meat AGAINST the grain into thin slices - as thin as you can make them. Slice through the meat again going with the grain into chopped pieces of steak. In a medium saute pan, heat 1 Tbsp. oil over high heat until just smoking. Brown half the meat at a time cooking about 3-4 minutes on one side. Lower the heat to medium, turn meat over and cook an additional 1-2 minutes or until no longer pink. Add steak to a small colander to drain and remove any excess grease. Return steak to saute pan. Add salt and pepper and Parmesan cheese. Layer slices of American cheese over steak and cook on low until cheese begins to melt. Stir cheese into steak. Serve on sub rolls with hot or sweet pepper, sauteed onions and ketchup if you like. The steak is slightly crispy but tender and juicy.